For designers who prefer a computer mouse to a tablet or stylus, here's our pick of the best models to consider. One of the most important purchases, after you've bought your laptop and monitor, is buying the best mouse for your needs. No matter what creative work you'll be doing, you need the best mouse you can afford to ensure that your workflow is smooth and efficient. As you'll be using your PC – and your mouse – for hours at a time, you'll need something that's fast, responsive and above all, comfortable to use. So how do you find the right mouse for you? After all, there are thousands of variations of computer mouse out there. Here we list eight of the best mouse options out there to help you find the ideal device for your creative work. Not quite what you're after? We also have buying guides for the best left-handed mouse and the best stylus for iPad. Logitech produces some of the most responsive computer mice on the market, which is pretty handy when you need a tool with precision. Its cordless MX Master model is designed to fit comfortably in your hand over a long period of time, and includes a super-responsive scroll wheel that lets you browse web pages or documents at your own speed, depending on how fast you flick the wheel. Buttons located on the side of the mouse also let you flit between windows without having to use the usual alt+Tab, and can easily program your shortcuts. The only downside to the MX Master is the pretty hefty RRP price tag of around £80 – but you there are deals to be had, so don't despair (above you'll find the best prices currently available). Prefer a new model? The Logitech MX Master 2S Wireless Bluetooth Mouse works with Mac and Windows. It boasts high-precision tracking, a rechargeable battery (that lasts a long time between charges) and customisable buttons. Apple was late to join the innovative mouse party then it created the Magic Mouse. Its replacement, the imaginatively titled Magic Mouse 2, has a super-light design and laser-tracking capabilities that make it easy to flick between InDesign CC pages and make even the smallest changes on practically any surface. However, the downside is that it’s perhaps a little over-sensitive at times. The multi-touch area on the top of the mouse, which lets you scroll in any direction, can sometimes become frustrating when you want to keep your finger in the same place for a long period of time. But for Magic Mouse evangelists, there is nothing that comes close to this mouse. Alternatively, a lot of designers prefer the Apple Magic Trackpad 2, which brings Force Touch pressure-sensitive technology (as seen in the screen of the Apple Watch) and the trackpad of the 2015 12-inch MacBook. Or for a cheaper option, try the older Apple Magic Trackpad. Sure, the Anker Vertical Ergonomic Optical Mouse looks weird. It’s vertically aligned to encourage healthy, neutral 'handshake' wrist and arm. But once you get used to it, it’s a cheap and very comfortable way to avoid RSI. If you're a digital creative that spends a lot of time using a mouse for work, then having one that is comfortable to use is essential. After all, if you injure yourself and cannot work, it could mean you lose money. That makes this odd-looking mouse a very wise investment, which is why we think it's the best ergonomic mouse for digital creatives. Smaller than Logitech’s flagship, the MX Master, the Logitech MX Anywhere 2 is the ideal travel mouse for digital creatives that work on the road. It can connect to three different devices via Bluetooth, and it can last all day with just four minutes of charging! Despite its small size, it still comes with the high-build quality we've come to expect from Logitech. It's not as ergonomic as other mice in this guide, but if you're looking for a mouse to carry around with you, this is the one to go for. The MX Ergo Wireless is a distinctly retro-looking mouse thanks to its trackball. While many mice-makers have ditched trackballs in favour of optical laser mice, Logitech has continued to release trackball mice, and for that we're thankful. For many people, the tactile trackball makes working on creative projects much more intuitive and comfortable, and the MX Ergo Wireless can be used flat or at a 20-degree angle. For people of a certain age, the Microsoft Intellimouse will bring back strong memories of a real workhorse of a mouse, that wasn't flashy, but did the job brilliantly. 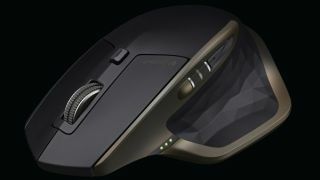 Microsoft has tapped into that nostalgia with the Microsoft Classic Intellimouse, which modernises the classic design and improves the sensor, allowing users to ramp up the DPI to 3,200. It’s not wireless, but for a comfortable and dependable mouse, this is a brilliant update to a computing icon. Just like designers, gamers need a mouse that is sensitive and accurate, so it stands to reason that gaming mice are a good option for designers too. And the Razer range of gaming mice is one of the most responsive out there. Razer mice have three types of sensors – dual, laser and optical – and an ergonomic shape designed to support the flow of your hand. The Razer Deathadder mouse is the bestseller (as well as the cheapest), and features an optical sensor and rubber side grips. It also syncs with all of your mouse settings stored in the Cloud. Microsoft's Bluetooth Mobile Mouse 3600 is, in our view, the best budget mouse money can buy these days. Although it has a rock-bottom price, it has impressive build quality and is very reliable. This is because Microsoft isn't just a software company – it also makes some very good peripherals, such as this mouse. It's small enough to easily carry around with you as well, which is handy if you do a lot of work on the road.